Radionics is also one of the most controversial alternative therapies. Many articles and websites seem hostile to the whole concept. Some have even described its founder, Dr. Alfred Abrams (1863-1924) as the "greatest quack of the twentieth century". There is no doubt that his work generated reactions and widespread attention. To see the range of opinions expressed just type 'Radionics' into an internet search engine. Albert Abrams (1863-1924) discovered and developed techniques now known as Radionics while practising medicine in California. He had studied German and then Medicine at the University of Heidelberg (Germany), then became a professor of pathology and, eventually, Director of Clinical Medicine at Leland Stanford University, California USA. He was a respected Medical Doctor and Researcher. Disease is a form of imbalance of the electrons of the atoms of diseased tissue (rather than cellular imbalance), and that disease could therefore be studied as a form of radiating energy. Radiating energy from diseased tissue may be sensed after it has travelled through the body/tissues of a healthy person and/or along a wire. These early experiments involved subjects holding wires connected to a phial of body tissue and the analysis of the sounds formed when their abdomens were palpated. This audio technique became known as the Electronic Reaction of Abrams, shortened to 'ERA'. Abrams detailed sounds correlated with different diseases then went on to measure the resistance of a wide range of diseases, conditions and disorders. 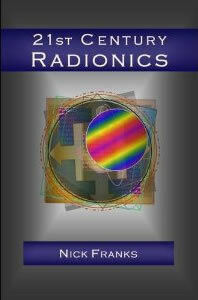 Known as 'Radionic Rates', books of these have been updated and expanded by subsequent researchers. During the 1920s Abrams work was investigated but rejected by the British medical community. During the 1930s Dr Ruth Drown, a chiropractor based in Hollywood, California, developed Abrams ERA instrument by replacing the human subject in the circuit with a sample of the person's blood or hair - this lead to distant healing treatments known initially as 'broadcasting', and later as 'Radionic Projections'. By the 1960s there had been a revival in interest in radionics in the UK and Lavender Dower, George De La Warr and Dr. W. Guyon Richards had become active in the field. 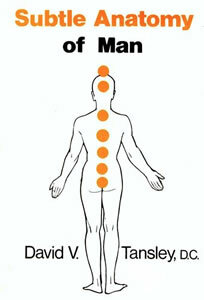 During the 1970s and 1980s American chiropractor David Tansley who wrote several books on the subject, including Radionics: A Patient's Guide [Element (Pubs. ), London, 1985] and Subtle Anatomy of Man, described radionics as a highly effective form of Energy Medicine, and caused controversy by introducing Eastern Philosophy to Western-style Radionics. At about the same time, Malcolm Rae (working in London) invented new forms of developed radionic instruments, developed the use of magnetism in radionics and produced instruments that used reference (or 'simulator' cards) to speed up the process of analysis and remove the need for many complex dials and settings. There are now, of course, many off-shoots from Radionics, and techniques that may seem similar or related to this approach to healing. One such recent example is described in the book "Sanctuary: The Path to Consciousness". 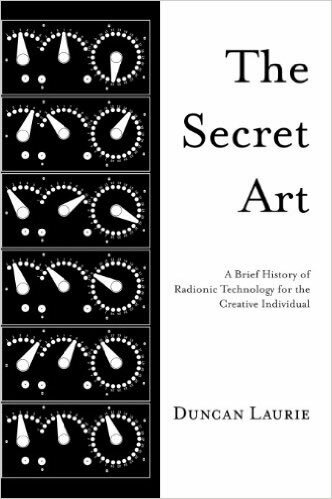 For more detailed information see the history of radionics. What does a Radionics Treatment involve? Acceptance of the practitioner's terms. This might take the form of signing a statement that protects the practitioner legally by confirming the patient's understanding about the service being offered or provided. For example, in some locations the practitioner might need to make clear that people who are not medically qualifiedcannot legally make diagnoses, alter medication and so on. In general the form of words will be appropriate to the rules in the geographical locations of the practitioner and / or patient because legislation varies from place to place. Completion of a detailed questionnaire that might include questions about personal and family medical history, lifestyle, temperament, personality etc.. Provision of small (labelled) sample of hair. It is not necessary for the patient to meet the practitioner in person. Some people prefer to do so but sometimes the geographical distance between the practitioner and patient, hence travel costs, might be excessive. Once the patient has decided to participate and has supplied everyting necessary the practioner will usually do some analysis and then contact the patient with his/her recommendations (which could include nutritional supplements, remedies and/or any of a wide variety of forms of natural / 'energy' medicine). Communication may be verbal or it may take the form of a full written report of the analysis. When radionic treatment begins the practitioner might start to charge the client at agreed intervals. Exchange of information in the form of regular updates between patient and practitioner is also likely. General Information about training and referrals to Radionics Practitioners are available from The Radionic Association of the UK: www.radionic.co.uk. IvyRose thanks Nick Franks for kind permission to include his photographs of Radionic Instruments (above-right, top of this page).